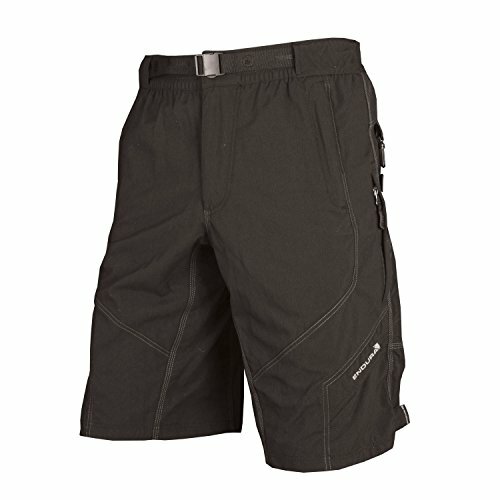 If you are new to mountain biking you may be riding around in a pair of non-mountain bike specific shorts. 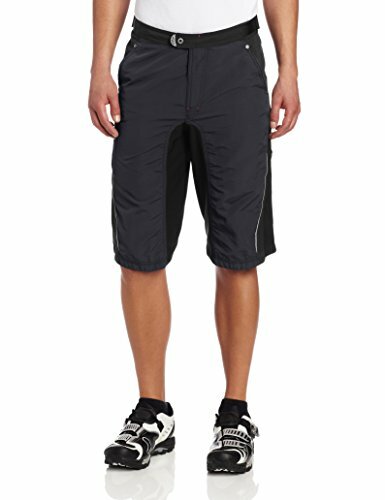 You can greatly increase your comfort while riding by investing in a good pair of shorts that have been designed for riding off-road. 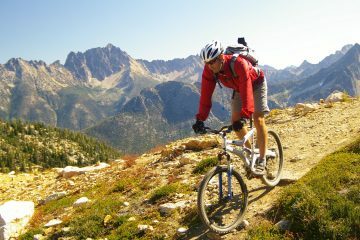 The best mountain bike shorts are cut to be comfortable while you are pedaling. 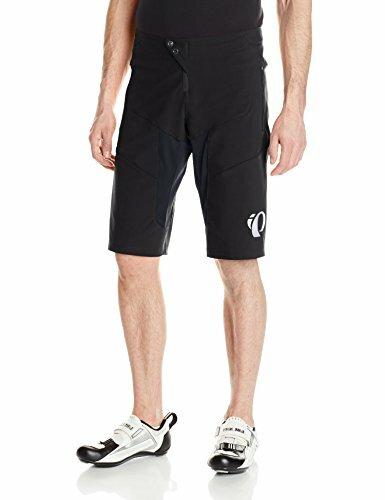 There are a two types available: form fitting tight lycra shorts favored by cross country (XC) riders and baggier shorts of different lengths and material for trail riders. The latter may have some level of waterproofing to deal with wet weather or be ventilated for summer use. 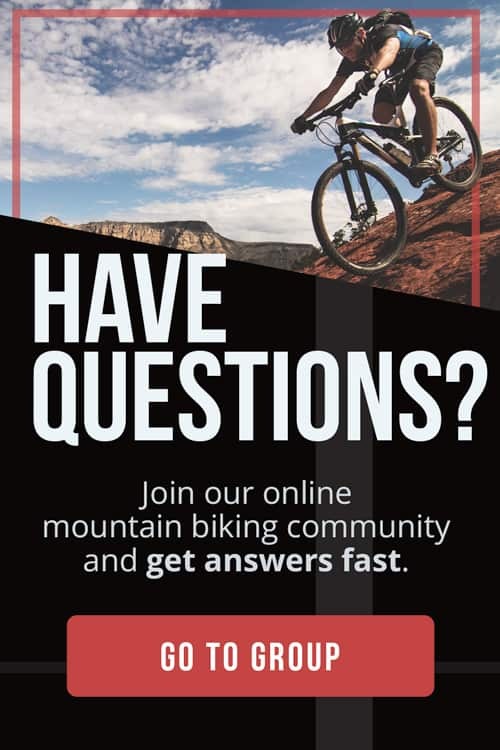 Here at The Adventure Junkies our goal is to help you choose the right riding gear. 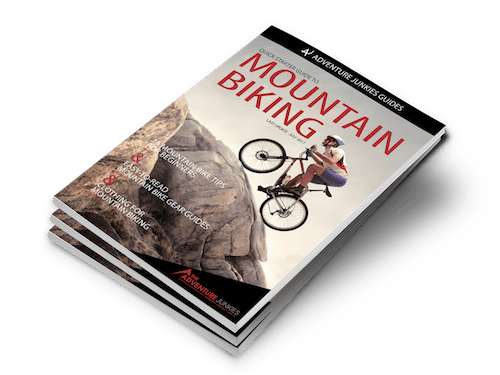 This guide will tell you about important considerations when choosing a pair of mountain biking shorts and show you a selection of the best shorts available. As with all clothing, it’s no good if your new shorts are not comfortable. Consider whether you want tight fitting lycra shorts for better aerodynamics or looser shorts with thicker material for more protection. 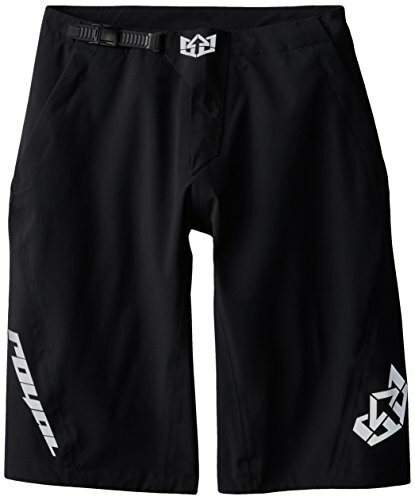 In comparison to normal shorts designed for walking, the best mountain bike shorts will have a taller rear end to ensure coverage when you are bent over pedaling and the front will be shorter to avoid material bunching up. 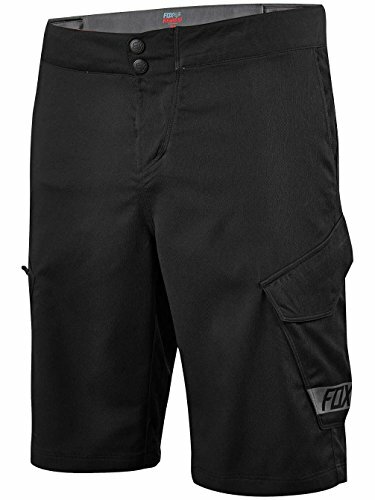 Most mountain bike shorts will come with waist adjusters so you can customize the fit. Tight fitting lycra bibs or shorts will not as they hug your body anyway. Look for baggy shorts with waist adjustment otherwise, you may find your new shorts are too tight or too loose. 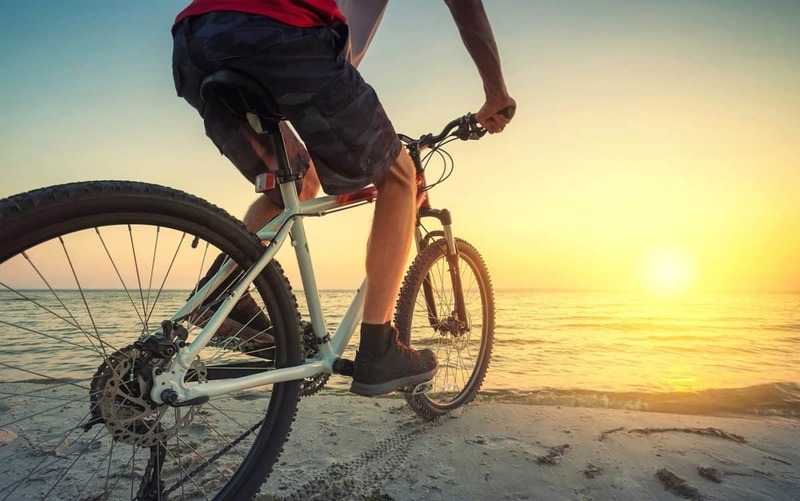 You may loose some weight as you ride more so it is good to be able to pull on the adjustment tabs when you feel a bit skinnier rather than buy a new pair of shorts. Some shorts may have belt loops but waist adjustment tabs are preferable to the added weight and bulk of wearing a belt. Think about how far down your leg you want your shorts to sit. 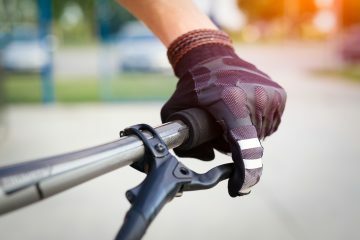 If you wear kneepads you will want the leg to be long enough to reach the pad without leaving a gap and also wide enough to avoid the pads snagging when pedaling. 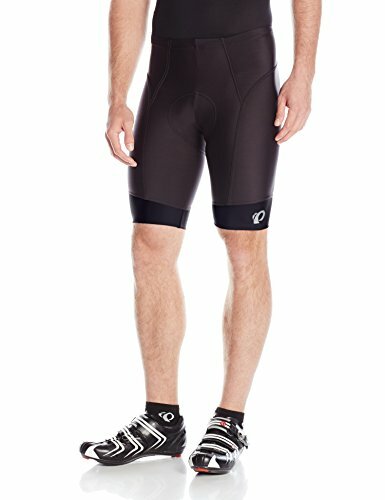 Tight lycra shorts are thin and breathable but offer little protection. 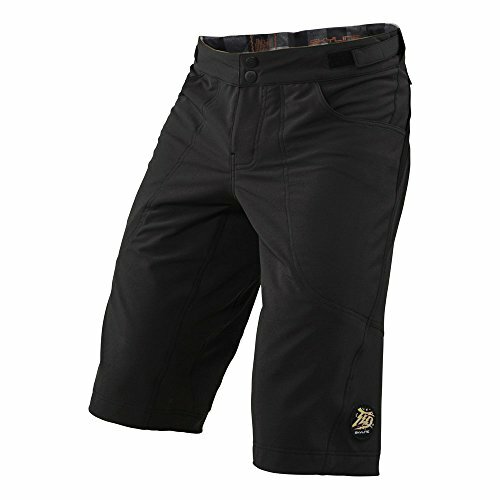 Baggier trail shorts can be found with thin material for summer riding, or thicker, ripstop material to protect you better in a crash. 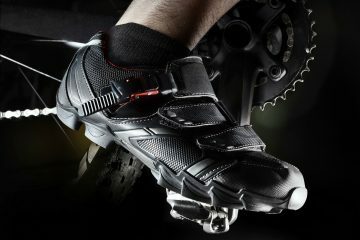 You may also want some level of water resistance so you can blast through winter puddles and rain. 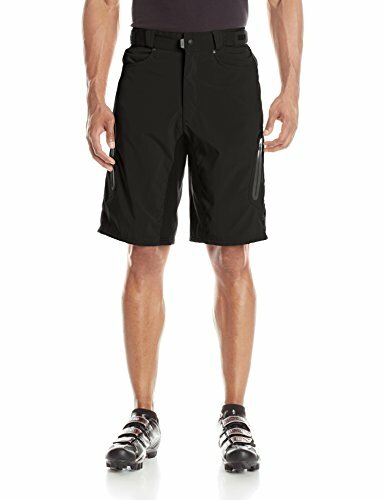 Do you need pockets on your mountain bike shorts? If you always ride with a rucksack then possibly not. However, it can be useful to easily reach your phone or to have somewhere to store your keys on a shorter ride. A zippered pocket has more security than an open pocket, but if the pockets are deep enough you shouldn’t have any problems. Keep in mind that in the event of a crash, anything you do have in your pockets will be sitting on your thigh and quite possibly end up being between you and where you hit the ground. Do you really want your keys to be mashed into your leg? Also be aware that some smartphone batteries can ignite if they are hit hard enough. Some shorts will come with a padded liner. If not, it is highly recommended to purchase padded shorts to wear underneath as they help avoid chafing and discomfort.